I have an 83 T-Top Z28 w/ Cross-Fire 305 and Cowl fiberglass Hood. Could you help with mine? Re: Newbie Cowl Tag Codes? 22D is the interior color... not really sure I want to say Blue? and I suspect the Deluxe Cloth interior. John your correct the code 11 is white and water base (Van Nuys build). Also the 22D is dark royal blue custom cloth interior with L/S seats. That has me puzzled about the seat code as it would AQ9 then wouldn't it? And the CG1 should be CC1 if she is a factory T-Top car. 22D = (22) Blue Interior (D) "Deluxe Seats"
Last edited by okfoz; 11-06-2008 at 01:38 PM. My '83 has D S 161609 just for example. Speaking of the seats are they solid dark blue or are they multi-color with CAMARO on them (and repeated on the door panels)? This is what they should be and what 22D indicates in the '82-'87 Camaro Parts catalog for '83. This is based on my personal observation so take it for what it’s worth, nothing. I have never seen any definitive source (GM) on what they mean. I’m always looking for additional data. and the 319481 is the schedule date. Note that its for GM internal use so it not a normal Julian date. Thank you Wildjeff as I had hopes you would come on to see this thread. I was way off base on the "D" (should have used the search where this was discussed before) but that's the impression the parts catalog gave me as to it's meaning. But what's weird is my '83 has the deluxe carpeted luggage compartment trim ,with the locking cover, but doesn't have the "B" on the trim tag. With GM they changed coding so often it's hard to keep track of. coolram62 - That’s not weird, I might be wrong. That why the disclaimer B is one of the options I’m having trouble with. I’ll PM you, I have some questions and don’t want to highjack this thread. Do you know how to decode the Schedule Date? John - I don’t know how to decode the schedule date, I suspect its some sort of tracking code GM used internally that has no direct correlation to the Julian date the car was produced. Most of the T/A and Z28s I have seen have only D and S, unless they where loaded. I double checked and the seat code is definately AF9. Could someone help w/ that one? I accept the CC1 but the second letter sure could be taken to be a 'G'...... at least in the dark! Now, is there anyone who can tell me if this car has a fuel filter? One more... Where do I get a center cap for one of the wheels? Dford the factory location for the CFI fuel filter is behind the alternator. I changed the routing of the lines on mine and now have the filter mounted on the frame rail next to the overflow tank. The fuel filter part numbers are WIX P/N 33478 and the Fram P/N G3694. You can also use the filter for a '84 CFI Corvette if you have to - I don't have the P/N at the moment. Scottmoyer , Wildjeff or Okfoz will have to tackle the seat question as I'm at a loss to explain it. Thank you so very much. I will look for the filter. 9 years later...... Does anyone have any info on this cowl tag?? Does anyone know about these numbers? For some reason I can’t post a question on here. Hopefully this works! Can someone possibly help me decode my cowl tag? It would be greatly appreciated! 1 37817 855892 Your lucky numbers. Z28 D80 PT Z28 with a rear spoiler, PT? 119684 522734 Chinese Nuclear Launch Codes circa 4th week of May 1983. 1FP87 Itsa Chebby Camaro with 2 doors! 079590 059807 Combination to Dark Helmet's luggage. Really, Drew? Chinese launch codes? Luggage? Lucky numbers? You're right, I shouldn't joke. The gibberish numbers are simply the measurements of the Playmate of the month in which the cars were produced. 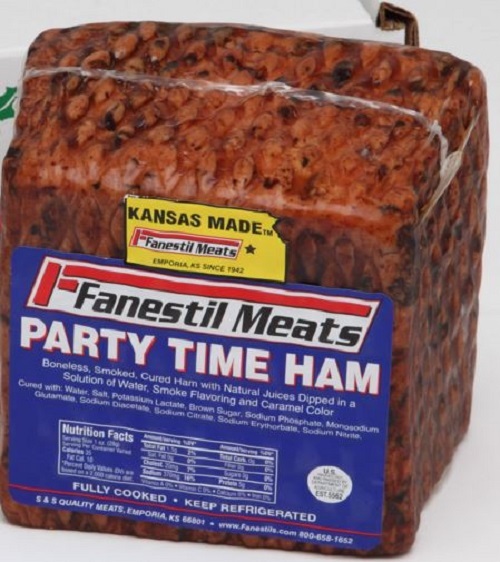 It's a little known fact that back in the day, the factory installed a free promotional ham as a token of appreciation. Sadly the hams weren't publicized which led to many being removed from the car before the buyer could take delivery. All that remains now is the tell tale code on the body tag. PT right at the end, to remind the assembly line to install the ham. You made me laugh Drew. Under Hood Paint / History Lesson? Quick Reply: Newbie Cowl Tag Codes?